In today’s Senegal . . . gold jewellery, luxury cloth and regal conduct are still the ideals of beauty. . . . . Beauty is seen as a kind of goodness. Women play a significant role in designing and commissioning ensembles. Men typically create pieces to order. 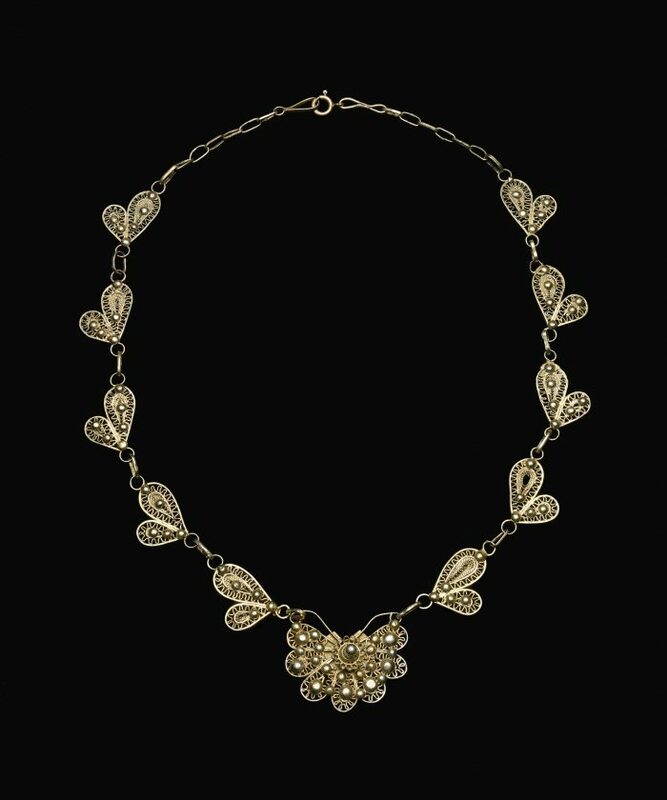 Designing jewelry operates within a patronage system in which relationships between the male goldsmiths and their largely female clientele are developed over time and through countless conversations and negotiations. A woman’s need to produce a lasting personal impression while drawing on a collective history is at the core of this system. Women tap into local history and shape Senegalese fashion, politics, and culture according to their own priorities and interests. A woman’s self-representation is also crucial to her financial and social success. 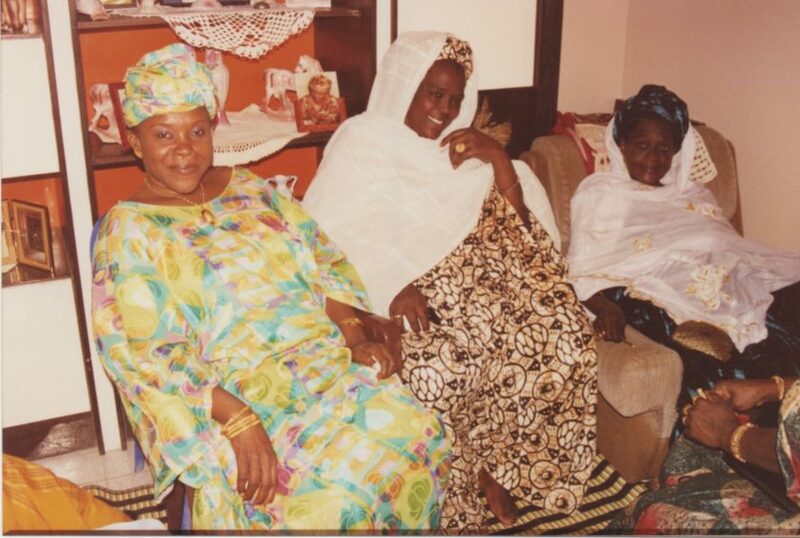 Such achievement is built through her connection to other women, to families, and to her husband, as well as her jewelry and the way in which she comports herself. If she is dressed well and wearing expensive or fashionable jewelry, people will understand that she is cared for and well-connected. She is demonstrating sañse—on the cutting edge of fashion and etiquette. 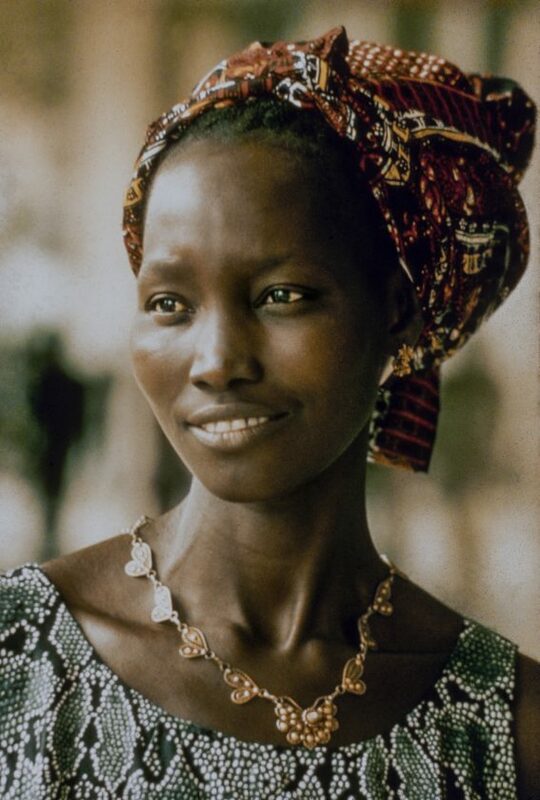 Beauty in Senegal is typically demonstrated through good manners, reserved behavior, generosity, cleanliness, attention to detail, careful delineation of one’s hairdo, and finely wrought jewelry that is both aesthetically recognizable and demonstrates a woman’s individuality. 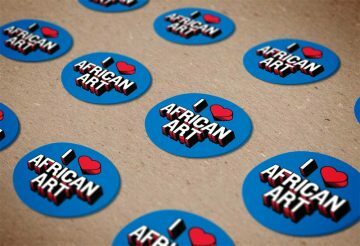 Through her complex, astonishing, and creative appearance, a Senegalese woman can participate in long-standing local campaigns for prestige and respectability to claim a place in a global city like Dakar. Metamorphoses. This extremely stylized butterfly necklace may be a marriage between the basket of flowers motif and earlier, more European-inspired butterfly designs. Butterfly designs, used in Senegal from the early 20th century, fell out of favor around 1960 when the independent country’s first president instituted a national art movement that accentuated African character and authenticity, turning away from European influences. Joint creations. 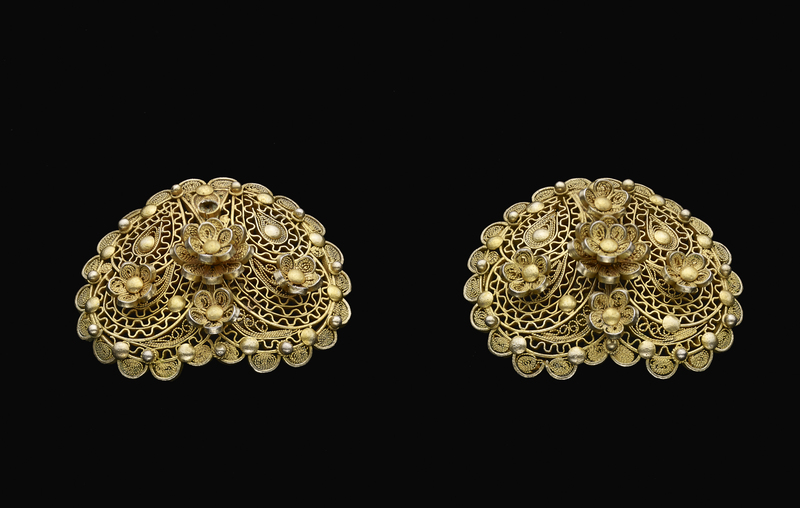 Celebrated beauties or pillars of the community were memorialized with earrings such as these. Known as Pauline Diacks, the style is named after a famously beautiful and accomplished midwife from Saint-Louis. The earrings were designed and named, in consultation with Diack, by a close female friend and made by goldsmith Magueye Niang in 1944. Sañse, pronounced “sahn-say,” is a Wolof concept derived from the French term changer—to change or transform—referring to the many times a woman changes outfits at an important event. Beyond its basic definition of “dressing up,” sañse also alludes to the presentation of an extraordinary public self—an extreme performance of elegance and sophistication that typically includes the embroidered boubous, gold jewelry, elaborate coiffures, and headscarves representative of a woman’s finest ceremonial garb. Head to toe, everything must be perfect and complete—down to the flapping of leather sandals and tinkling of gold bracelets. Underneath this physical appearance are layers of localized implicit knowledge and networks of gift giving. Through their ensembles, some Senegalese women powerfully manipulate fashion for sociopolitical and economic ends in the changing and fractured urban centers of Senegal. 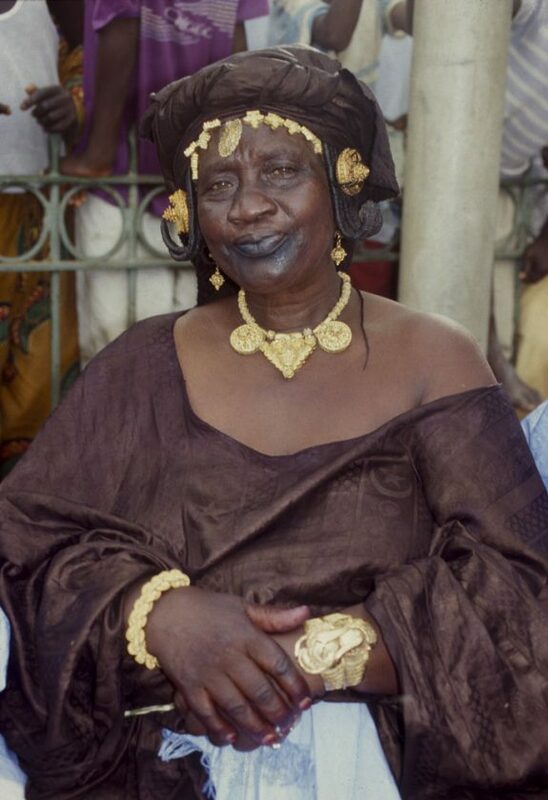 Woman wearing traditional hair, makeup, and jewelry demonstrates her sañse. 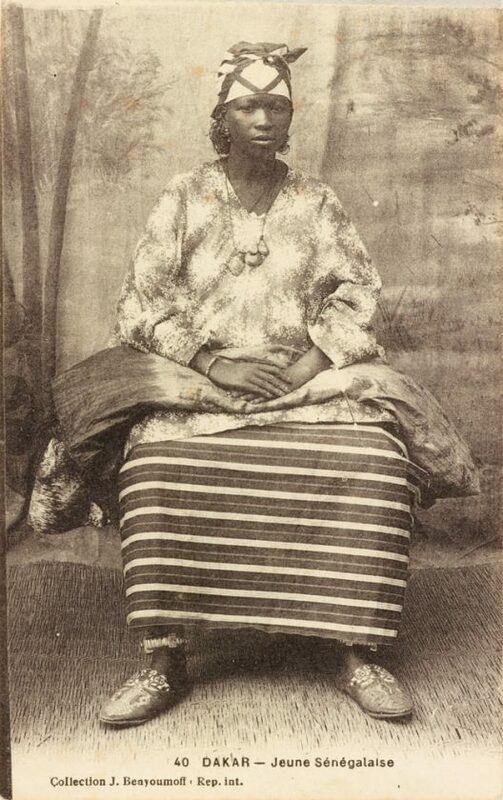 Women in urban Senegal have been visiting photography studios to stylize and portray themselves in the most elegant of fashions, poses, and jewelry since at least the 1910s and 1920s. In imaging themselves and displaying their photos, they demonstrate their chic modernity, their civilisé, their sañse. They also commemorate important events, such as weddings, religious affairs, and naming ceremonies. In today’s global social media environment, styles and fashions are shared instantly, and the tastes of discerning connoisseurs adapt swiftly and deftly to the trends, as women adorn, pose, snap, post, comment, and influence one another. And yet in these portraits, women are not just documenting themselves and their lives, they are also amplifying their visibility to demonstrate their potential for a positive, successful future. By presenting themselves as wealthy, cosmopolitan, and successful, they convince others to invest in them through an extensive informal economy of fundraising collectives (called tontines or natt), microcredit, and gift giving. Photographs are performances of reputation, social class, and urban belonging. They are not just about beauty—they are also strategies for dealing with the economic anxiety and global volatility of modern city life with style.